Mt. Elon Baptist Church food pantry has served the surrounding community for many years. The food pantry serves an average of 260 families monthly. Through the generous giving of the members of Mt. Elon Baptist Church and occasional gifts from individuals, local school food drives, and the dedicated volunteers of the Mt. Elon Baptist Church food pantry, we are able to help meet the needs of many families in our community and spread the love of Jesus Christ. If you are interested in getting support from or volunteering at the food pantry please contact the church office or email us at mtelon@mtelon.com. 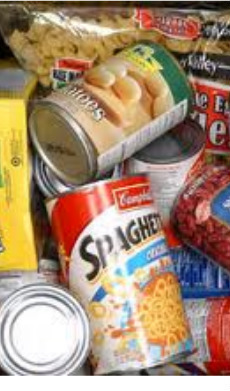 The food pantry operates on the third Saturday of each month. Doors open at 8:00am. Food Distribution begins at 8:10am until 9:45am. We gladly accept donations. (1) mail: U.S. Department of Agriculture, Office of the Assistant Secretary for Civil Rights, 1400 Independence Avenue, SW, Washington, S.C. 20250-9410 (2) fax: (202) 690-7442; or (3) email: program.intake@usda.gov.